We are so thankful for your support with our Saturday Sampler. We do a lot of homework to make sure that everyone loves the new blocks each year and the effort each of you give to make this a success is amazing. The last email we sent out we gave you a "sneak peak" but it honestly wasn't much, was it? This time it's the real thing. 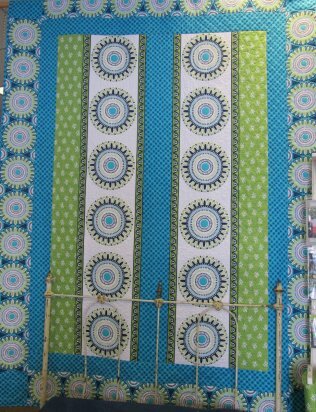 We went with 2 focus fabric groups so that you can combine the applique and the pieced blocks together or you can do each individually. 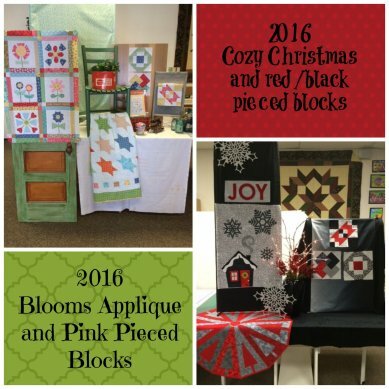 It really gives you additional options and takes a lot of the guess work out of putting your quilt together at the end of the year. See you on the second Saturday of February! 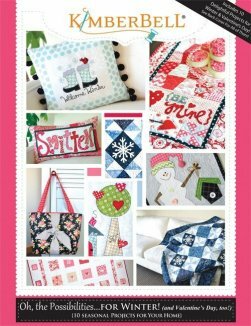 Get your stitchen on! The math for buying close to home is compelling-for every $100 spent at a locally-owned business, $73 remains in the local economy, and $27 leaves. Compare that to the same $100 spent at a non-locally owned business, where $43 remains in the local economy and $57 leaves. Recent research from Civic Economics (www.civiceconomics.com) indicates that local eateries return nearly 79 percent of revenues to the community, compared to just over 30 percent for chain restaurants. "When profits stay local, it increases the community's wealth, tax revenue and standard of living," Sue Lynn Sasser, PhD and professor of economics at the University of Central Oklahoma says. "Small businesses and local businesses are still the backbone of our economy," Sasser adds. "They are local people serving local people and are generally committed to staying there, raising their families. After all, most businesses started out as a small, local business and earned the success of growing and expanding. It's the American Dream." 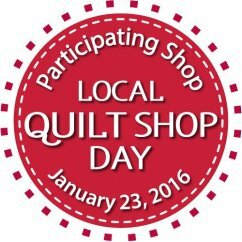 As a thank you for shopping locally, come in on Saturday, January 23, 2016, and receive 30% off on 1 item. (Excluding Saturday Sampler). 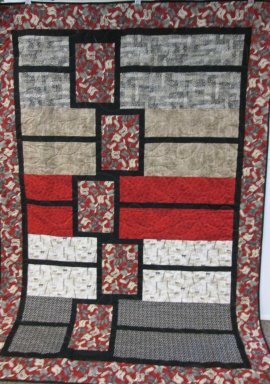 This fun quilt is made from the book Fat Quarter Style. 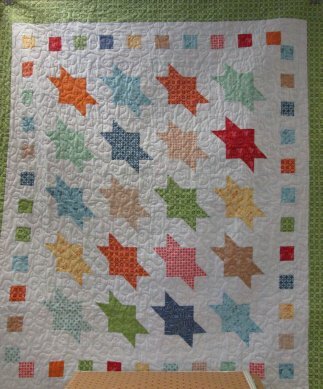 12 quilts that never go out of style. 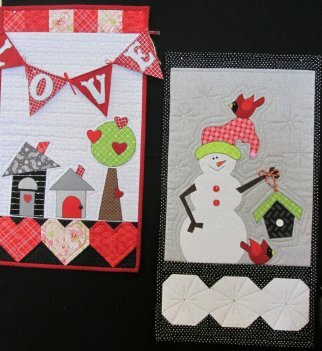 Here are 2 projects from the Kimberbell book. This picture just doesn't do this quilt justice. The colors are so vibrant and it makes you feel like it is Spring! 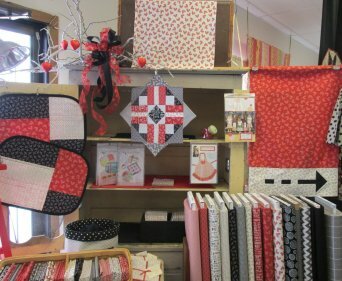 Valentines is almost here and we have so many projects to choose from. Here are just a few. The Zirkel is a magnetic holder that repels and separates items to the edge in a “fanned out” pattern placing them in a “ready-to-pick-up” position. Uniquely, the Zirkel will not clump hardware in a prickly pile. The Zirkel makes it easy to pick up one item at a time. The Zirkel is recommended for the sewing room, office, workshop, beauty salon and even auto repair shops. 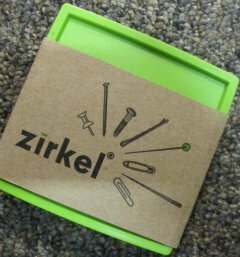 Use the Zirkel to hold your push pins, hair pins, sewing pins, screws, nails, paper clips, needles, safety pins, fishing hooks, and bolts. The weight of the Zirkel also allows it to be used functionally as a paper weight for sewing patterns, schematics, plans, etc. Do you miss coloring? 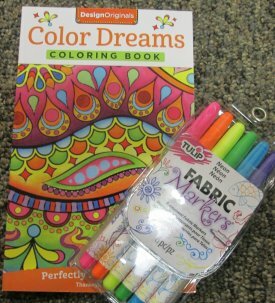 It is now a super fab to color as an adult! Studies have found they relieve stress and boost mental clarity. Coloring books have been used to gently ease veterans suffering from PTSD into art therapy. There are still several studies taking place to determine their use as a therapeutic tool. We have several different sizes and subjects in stock. Come grab one for yourself or give it as a beautiful gift! Here is one of our favorite patterns... The Boxtrot. The quilt is absolutely beautiful! Stunning!